Yesterday, friends from Mexico invited us at their place for a fun and delicious dinner. We’re a group of people who live in the Seattle area and who sometimes travel places in the winter: California, Mexico, etc. We’re at the beginning of April, and that time of the year is typically the time where the level of vitamin D in our blood is at the lowest point for the year. And incidentally, some friends were saying they were feeling tired, while others, who recently spent a few days in sunny locations, noted that they felt much better after just 3 or 4 days of exposure to sunny weather. Before we discuss scientific research the anecdotal evidence seems clear. When lacking sun exposure for months and getting some again, we feel better. Let’s discuss vitamin D.
There are lots of vitamins that our body needs to function properly: vitamin A, C, the family of B vitamins, K2, and these can be found in food. But in the case of vitamin D we can find it in foods, in small quantities, but not just there. Most of the vitamin D in our blood comes from our body’s own production: our skin produces vitamin D when safely exposed to sun. Because of that and the way it operates it is considered a hormone. Yet, it is still called a vitamin. The two main types of the vitamin D are D2 and D3. Our body produces D3 only, while you can find supplements of D2 and D3. According to Dr Stephanie Seneff and Dr Joseph Mercola, when the skin makes vitamin D3 it makes not only that, but also two other byproducts: cholesterol sulfate, and vitamin D3 sulfate. Dr Seneff believes that the beneficial effects that scientific research is connecting to vitamin D3 could be due not to the vitamin/hormone itself, but that the byproducts could have as great a role, or a greater role in that benefit. Today’s supplements usually only contain the vitamin, not the byproducts, which would favor safe sun exposure when available, instead of taking pills. In addition, in order to produce it the skin needs to draw something from our bloodstream: cholesterol. In other words, cholesterol in the blood is removed during safe sun exposure in the process of vitamin D production. That benefit does not appear to be available with supplements either. Another possible influencer of benefits of vitamin D may have nothing directly related to vitamin D itself. What if people who safely expose themselves to the sun benefited from the activity of walking or being outside? It is not clear there is any physical exercise correlation with levels of vitamin D – I have not read any studies on this. However, the notion of co-factors would indicate that we could be looking with a microscope at the outcome: quantity in the blood, ignoring the fact that to get to this outcome the subjects may have taken a walk that inactive counterparts staying indoors did not. Something to think about, and probably some study will look into this in the future. I’m not going to list all health outcomes from low levels of vitamin D, they are widely documented in the evolving research studies on the topic. The main benefit of safe sun exposure is, as you imagine, that you are living your life! You are outdoors, in nature, enjoying sports, time with friends, with all the benefits of having a good time and exercising. The second benefit comes from what we mentioned above, that is your skin does not make only the vitamin but also cholesterol sulfate and D3 sulfate, and you’re consuming cholesterol to make it. Watch out for excess sun exposure: there are risks of skin cancer when spending too much time in the sun. So it’s a trade-off and the reason why there is general recommendation on how much is too little and how much is too much. One thing to consider is that exposing more skin surface allows more vitamin D production without having to rely on the face or the arms to get all the sunlight. That way you can stay exposed less time in total. 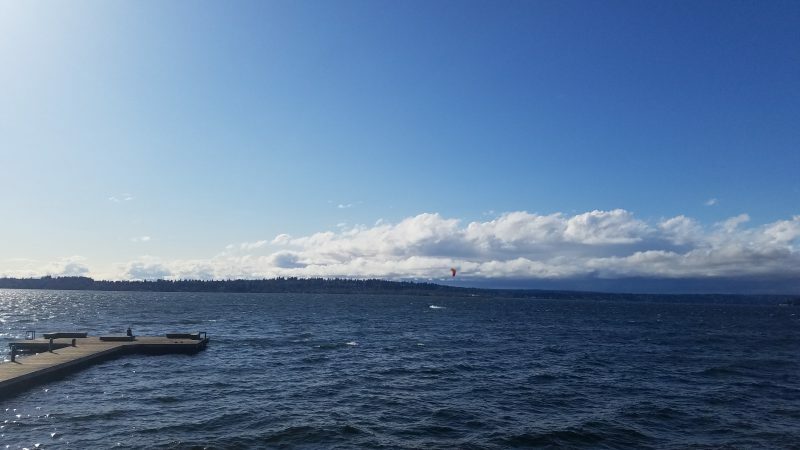 With that said, we had a very rainy and grey winter in Seattle and the Pacific Northwest and I’m looking forward to the sunny months to come. Have a great summer everyone!